What does a man with the world on his shoulders and a child to look after do to relax and unwind? InYakuza 6: The Song of Life, Kiryu enjoys a swing of the bat, a jostle of the joystick, or some good old-fashioned mahjong. The world of Yakuza 6, encompassing the cities of Kamurocho and Onomichi, offers a variety of amusement activities to pass the time in between critical missions and hilarious substories--like playing Puyo Puyo, managing a cat cafè or chatting up a hostess! InYakuza 6: The Song of Life, Kiryu will find out exactly how much people are willing to sacrifice for family - be those ties through blood or bond - when he investigates a series of shadowy events that involve the ones he holds closest to his heart. He'll journey to familiar grounds in Kamurocho and the new setting of Onomichi, a beautiful, sleepy port town in Hiroshima Prefecture, in order to find the answers he seeks. 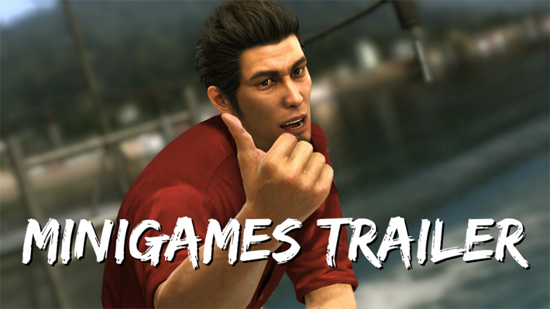 Powered by the brand-new Dragon Engine, the game is the ultimate iteration of Yakuza's blend of gritty crime story, hyper-explosive combat, and all the vices and distractions those locales have to offer. The "Essence of Art" edition is almost sold out! But don't fret, you can pre-order the launch edition of the game today which contains a sleek hardcover art book that also doubles as the disc holder!